Home VoIP What is VoIP? For some of you who are new to the telecommunications industry and are just joining us… First off Hello! Secondly, I wanted to address something important. Everyone only seems to talk about the advantages and disadvantages of VoIP, but rarely does anyone explain what it actually is. So, without further ado, What is VoIP? VoIP is a combination between hardware and software that allows you to make phone calls over the internet. Instead of using a regular phone line, the call is transmitted through an IP address. Users can make a call by connecting the network cable to the physical phone or by making the call over the computer. A well-known example of VoIP is Skype. Skype is a free program that allows you to make VoIP calls to other friends using Skype, anywhere in the world. Participants can make long distance calls without long distance charges. Bicom Systems gloCOM integrates with Skype for Business. The module allows you to sync your gloCOM and Skype online presence and launch a regular or conference call with the contacts from your Skype for Business. Learn more about the Skype for Business integration in this video. Even though VoIP has been around for a long time, some are still unaware of its services. Having the ability to make a call where and whenever you want is a crucial moment in time for technology. VoIP is enhancing communication needs. Businesses have been implementing VoIP services to their daily routines for its many benefits. Adopting VoIP makes your telephone system more cost-efficient, flexible and convenient. 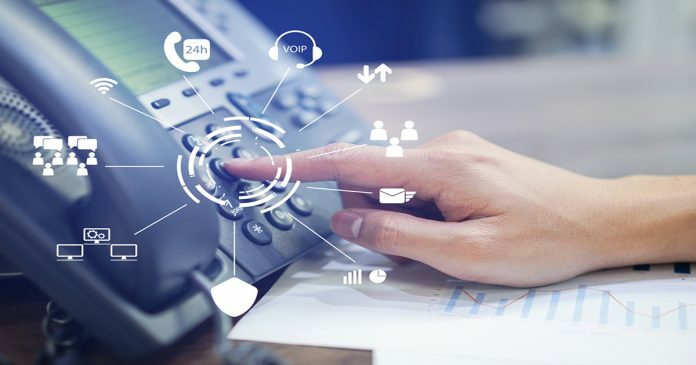 VoIP gives you the ability to access your business phone number from any location and on any device as long as you’re connected to the internet. VoIP is quickly replacing regular telephone lines. Without a question, it has many benefits for its end user. But VoIP also has a number of unique selling points for Resellers! Adding VoIP to your existing offering will give your company the competitive edge it needs. Don’t you want to be a part of this $140 Billion Dollar industry? But before you can join the industry, do these three things. 2. Research and read reviews on VoIP providers. Take a look at some reviews from Fit Small Businesses ‘2019 VoIP Service Reviews & Pricing Guide for Small Business’ here. 3. Read how to build a VoIP business, how to sell and how to market VoIP in this free ebook. Remember, VoIP should add value to your company! It benefits your business, your customers and your employees. So, what do you think, are you ready to get started with VoIP? Contact our sales team today to get started.